The iPad is capable of a lot. The Apple device serves as a useful tool for teachers, chefs, and even doctors. Two things the iPad can’t do? Make phone calls and send SMS text messages. The iPhoneIslam team has successfully developed ‘PhoneItiPad’, a tweak that lets users send SMS messages and make phone calls from the iPad 3G. To be able to use these features, your iPad will have to be jailbroken. A video, posted by the iPhoneIslam team, clearly shows the Phone and SMS applications installed on their test device. Because the native iPhone applications have not been optimized for iPad, users will have to tap the “2X” button to make the Phone and SMS apps visible on the display. iPhoneIslam plans to release it soon, hopefully before the WWDC. 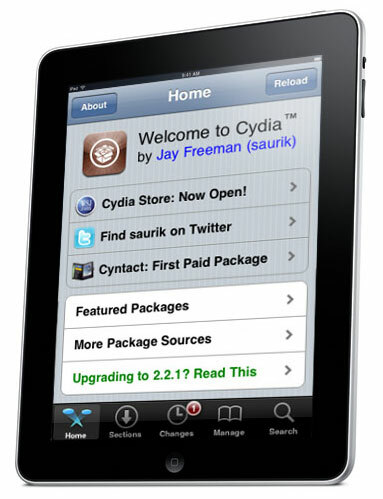 Since the iPad 2 has not been jailbroken yet, only first generation iPad users will be able to utilize this tweak. The iPhoneIslam team has not confirmed whether their ‘PhoneItPad’ app will be free or paid in the Cydia store.